You don’t want to mess up self-publishing. After all, the self-publishing industry is pretty sensitive to those making mistakes. But Amazon self-publishing is the best option to self-publish and we’ve made it even easier for you with this guide for doing it with Kindle Direct Publishing. Publishing a book is so much easier now than it ever used to be, especially with Amazon self-publishing. You no longer need to go through painstaking efforts to land a book deal which locks you into unrealistic deadlines and cuts you out of most of the earnings. You can now have complete control of your book – and its revenues – by Amazon self-publishing. But many writers get overwhelmed by the abundance of information about self-publishing. It can be intimidating for first-time publishers. We get it – we were just like you! So to ease some anxiety and uncertainty, we created this step-by-step comprehensive self-publishing guide for you to follow in order to get your book published on Amazon’s Kindle Direct Publishing Network. NOTE: We cover everything in this blog post and much more about the writing, marketing, and publishing process broken down with videos in our VIP Self-Publishing Program. If you are ready to publish your book NOW then make sure to check out our comprehensive, step-by-step guide to becoming a bestseller. Traditional publishing is on the way out. This has been the reality for some time now and for good reason. While traditional publishing had its time and was once the only option for publishing a book, the system in place right now is one made for the next Stephen Kings – not for those who have value to share with the world. There are major differences between traditional vs self-publishing with the majority of authors opting to take their talents to Amazon instead of through one of the Big 5 publishing houses. What is Kindle Direct Publishing (KDP)? Throughout this guide, you’ll read the term Kindle Direct Publishing or KDP. It might sound self-explanatory but we’ll cover some basics. This is an Amazon self-publishing platform that allows you to create and manage your Kindle eBook, paperback, and even audiobooks in a single place. It’s widely used to build books from the ground up. And fortunately, setting up your KDP account is easy, and should be the first step you complete. Sure, anyone can upload a book and self-publish it through Amazon, but that doesn’t mean it will do well and actually sell. You have to know the specifics, from setting up your KDP account to the pricing of your book. If done correctly, you can expect a successful launch and a substantial amount of passive income. Here are our steps for Amazon self-publishing. Before you can start with Amazon publishing, you first have to have an account set up with them. Go to https://kdp.amazon.com and register with either your Amazon account or with your email address. Next, click “Update” in your account information and fill in your tax information. It’s important to note that you need to complete your tax information BEFORE you can publish your first book. So don’t skip this step! Once your tax information is complete, click “Finished” and return to the main page. With your KDP account setup, proceed to setting up the details of your book, as seen in the areas below. In your Kindle Direct Publishing profile, you need to fill in the title and subtitle of your book. While a subtitle is optional, having a good subtitle is something you should definitely consider to bring in more views and create stronger intrigue and help people find your book when searching. Use a Book Hook: Your book hook should speak to the reader in a unique voice that grabs their attention and feeds into what they are looking for. List the Benefits: Your potential readers want to know what they will get from reading your book. One technique is to deliver the benefits in the subtitle, providing enough tantalizing information to further attract readers. Think about what you would be attracted to in a book title. Keep it simple, clear, and unique. Research the title you want to use and make sure it hasn’t been scooped up by a high-performing book already. You don’t want to make competition for yourself. You need a powerful book description in order for potential buyers to read what it’s about. Even though the cover and subtitle should do a great job of this, we all want more information when it comes to putting money toward something. A book description is essentially a short written narrative that illustrates what your book is about. It should be written like a sales page to capture the interest of your reader. This is crucial because the description, in many cases, is the final factor that determines whether the reader will read your book or not. That, and great Amazon reviews. When done correctly, a well-written book description can practically sell a book on its own. Spend some time crafting your eye-catching book description. It will make your book stand out to your readers and motivate them to purchase your book. If you want your book to show up in Amazon and Google search engines, you’ll need the right mix of keywords. Since Amazon allows only seven keywords per book, keyword selection requires strategy. But what are keywords exactly? Keywords are specific words or phrases used to describe your book. If someone was looking for a book on your topic, they might type one of those keywords into Amazon or Google in order to find it. These are all phrases or words people looking to better themselves with perseverance would type into search engines in order to find what they’re looking for, like in the image below. KDP Rocket: This is a great tool for comparing Google search results to Amazon. It gives you a competitive score from 1-99, keyword results from both Google and Amazon, and how much money other books are making. KW Finder: This tool gives an analytical view of the keyword popularity using a competitive ranking. You can search for five keywords for free per day. Amazon’s Autofill Function: Take advantage of Amazon’s search box to find good keywords. Amazon’s suggestions are based on search history so you want to search for words that are high in demand with little competition. Make a list of possible keywords for your book, then leverage the tools above to test your keywords. Putting in the time to get keywords right will have your book rank higher and appear more frequently to readers. Amazon provides a collection of categories and subcategories to choose from. Like keyword selecting, your goal is to look for trending areas that don’t have tons of competition. If you visit your book page, these categories will appear partway down the page, displaying the rank like in the image example below. These categories are what you will rank as a bestseller in, which is why you want to make sure you pick fitting categories that are specific, but also not super competitive. You want to stand out. You can also check the rankings of the top three books on the first page of each category. Amazon sales ranking measures how well a product is selling compared to its competitors. All books that are ranked 2,000 or less are considered to be highly purchased products in that particular category. Unless you have an established audience with significant downloads and reviews, try to aim for categories with books that rank between 10,000-30,000. Do you want to know how to rank for ten categories? Check out our blog post that details how to get approved for more categories on Amazon. To upload your manuscript, it first must be saved in a supported kindle format. In your Kindle Direct Publishing account, go to “Your Bookshelf”. Locate and click on “Kindle eBook Actions” next to the title of your book. Locate and click on “Edit eBook Content”. Click on “Upload eBook manuscript”. 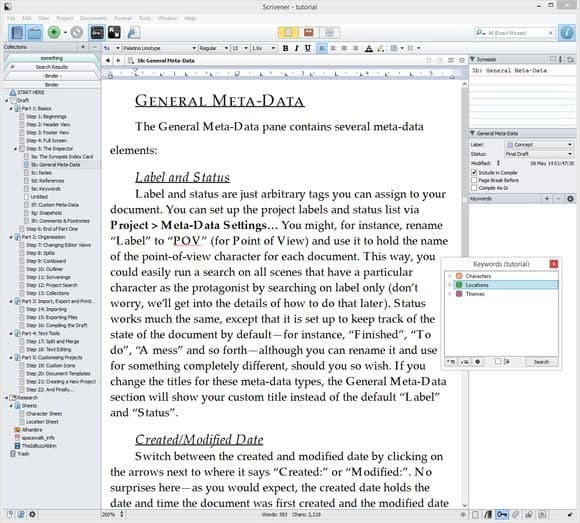 Upload your manuscript file on your computer. Once Amazon finishes uploading your file, a confirmation message will be sent and you can preview the uploaded file to check for any errors. You can upload the manuscript as many times as you want and the new version will override the existing. It’s important to check how your book looks using the “Look Inside” feature once the book is live on Amazon. This feature is often the first thing your prospective readers will click on when checking out your book. If the formatting is off here, it can deter readers from picking up your book. 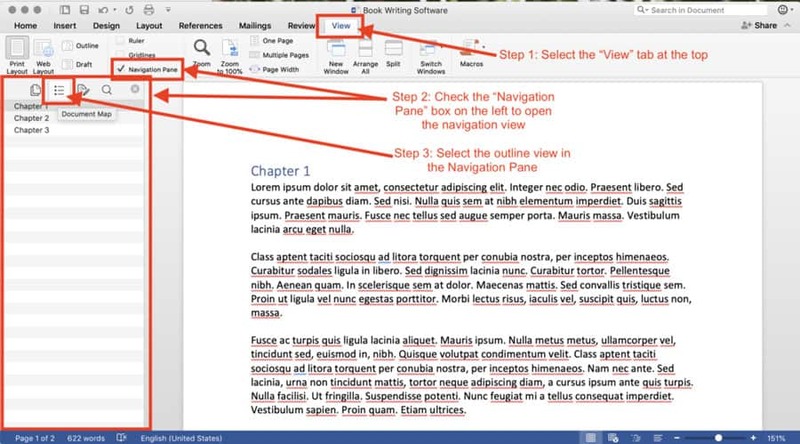 Take this extra step to make sure your formatting looks good here too. When it comes to publishing a successful book on Amazon, having a perfect book cover is one of the most important aspects to get right. Contrary to what we were told growing up, people do, in fact, judge a book by its cover. It’s actually one of the biggest deterrents. Your cover is exactly how your book will be judged at first glance. So you must make sure that it is created professionally and that it will stand apart from the rest of the books in your genre or category. Prices will depend on the level of service, but these sites will give you plenty of amazing graphic designers to choose from! It’s a great investment that will make your book stand out perfectly. If you’re a Self-Publishing School student, we will actually provide a list of qualified, trusted book cover designers you can work with in order to get a worthy cover. Make sure to do your research regarding what type of book cover does best in your genre. Fantasy books, for example, will be a lot different than a memoir or even a historical fiction. This is up to the author, but generally, the best range to have your book priced is between $2.99 to $9.99. The royalty payments vary depending on the country, but you can learn more on KDP Select pricing page. One popular strategy for beginners is to price your book at $2.99 and gradually increase it by $1 per week. At some point, your sales will begin to dip. And while that’s normally a negative statistic, for this case, it confidently tells you the perfect price of your book that guarantees a profit. Know the price of your competitors. Compare the list price of your book to the books around you and determine if you would be able to sell your book for a higher price. Know the size of your followers. Famous authors can charge a lot for their books because they have a big following. If you’re not in this category, your book should be priced lower to encourage new readers to buy your work. Determine price based on the size of your book. Size does matter when it comes to books. Don’t charge $20 for a 75-page book. Customers will immediately be turned off with the lack of content at that price point. Measure price based on reviews. Reviews carry a big weight on influence, and is social proof that your book has been read and well received. Therefore, a book with higher reviews (1000+ reviews) can be priced higher compared to a book with fewer reviews (30+ reviews). Experiment with these strategies to pinpoint the price for your book, it will drive long-term success. If you want to become a self-published author, you must be fluent with platforms such as Amazon Kindle Direct Publishing and more. For that reason, you must take action now because you can never have too much knowledge when it comes to self-publishing your book. #1 – Utilize your FREE training! That’s right. We have some free training all ready to go for you. Chandler Bolt put together this video training guide that will help you learn what it takes to go from blank page to self-published author in as little as 90 days! #2 – Create your Kindle Direct Publishing Account! Go ahead right now and get started. You can never start too early. Having your account set up and ready to go will make all the difference when you’re ready to publish! Make sure to follow the above steps closely so your account is set up the way it’s supposed to be. If you already have your book written, edited, and ready to go, that’s amazing! You’re already almost a published author. But if you’re still working on it, put the pedal to the metal and start writing! We know writing can be really time-consuming but if you put your mind to it, you can utilize your weekends to write faster and get more done. The sooner you finish, the sooner you can publish! What about self-publishing is still confusing to you? Let us know so we can help you more! Knowing how to get an ISBN as a self-published author is crucial. Since you can’t publish without an ISBN, we’re helping you learn how in order to publish the right way and why you even need an ISBN number in the first place. But you don’t have to even worry about an ISBN number if you don’t have a book ready to publish, right? And it won’t even matter if you don’t publish that book the right way. What is an ISBN number used for? What is the ISBN number on books? Before you read another section, make sure to take advantage of this FREE training we offer that will teach you what you need to know about self-publishing your book. An ISBN number will go to waste without the proper system in place. With your FREE training, we can help you develop your book and messages that speak to readers on deep levels – and we even help you understand HOW to self-publish it so the maximum number of people can enjoy it. Just click the button below to TAKE ACTION on your dream – and let’s do this together. ISBN stands for International Standard Book number and is a 13-digit code used to uniquely identify your book. Essentially, an ISBN number, or International Standard Book Number, is a regulated 10- or 13-digit identification number which allows libraries, publishers, and book dealers to locate and identify specific books. But where did these ISBN numbers even start and why do we have them? In the early days of World War 2, the Japanese military sent messages back and forth and the Allies needed to crack their intricate numbering system to get an edge in the war and turn the tables. But how did they crack this complex system? MI6 recruited a young mathematician named Gordon Foster to work as a codebreaker at Bletchley Park, where he scanned millions of numbers looking for patterns in the code. This report led to the 9-digit standard book number which went live in the UK in 1967 and eventually led to the ISBN system used worldwide. Several years later, this turned into a 10-digit numbering system when a policy was needed for new editions and variations. Then, in 2007, the ISBN switched to a 13-digit format and is now the standard used everywhere. ISBNs cost about $125 for one number in the US. However, if you purchase more than one at a time, this cost could be lowered. What is the purpose of an ISBN number? ISBN stands for “International Standard Book Number” and before it was implemented in 1967, the method and system for cataloging, ordering, organizing, and locating a specific book was a chaotic mess. Today, to get your book into a bookstore, a library, or almost any book distribution channel on the planet, you need an ISBN number. How does this long string of numbers on the back of books work? If you’re a self-published author, do you need an ISBN? These are all questions answered in this article. Let’s unweave the intricate web of how to get an ISBN and how they work in the publishing industry. As of 2007, the ISBN is a 13-digit number. This came about in part because of the large volume of eBooks now being published every year. Knowing how to break down and interpret these 13 digits aren’t of much use and interest to most book readers, but for publishers and distributors, it’s a necessity. If you want to publish lots of books under your own publishing name then it’s something you may want to pay attention to. You can tell a lot about a book and its author by reading the ISBN number. Let’s break it down and look at what all these numbers mean. The 3 is the language group identifier which here indicates German. For English speaking countries a 0 or 1 is used. Numbers for language identification generally range from 1-5. It’s worth mentioning that the rarer the language, the longer the number identifier will be. For example, Indonesia is 602 whereas Turkey is 9944. You can reference the complete list at the International ISBN Agency. Next is “16”. This is the “publisher code,” and it identifies the publisher on any book that has this number. This number can be as long as 9 digits. “148410” — This six-digit series represents the title of the book. The publisher assigns this to a specific book or edition of the book, such as a hardcover version or paperback. This could be a single digit or stretch to multiple digits. “0” is the last digit and is known as the “check digit”. This number is mathematically calculated as a fixed digit. This is always a single digit. This number indicates that the rest of the ISBN numbers have been scanned and is calculated based on the other digits in the code. Where is the ISBN number on books? The ISBN is usually found above the barcode on the back of the book. However, they’re not the same. The barcode is much different than the ISBN number. The barcode of your book can change, while your ISBN can remain the same. We’ve already discussed what data the ISBN carries, however, the barcode includes extra information such as the book’s fixed price and the currency it’s being sold in. Barcodes are a necessary element of your book as they allow for most retailers and distributors to scan your ISBN for retail and inventory reasons. The standard barcode is known as the EAN (European Article Number) barcode, and your barcode must be in this format to sell your book in bookstores. No, ISBN numbers never expire or go bad. In fact, if you have one from a long time ago, you can simply reconstruct it for use. But what if my old ISBN is really old and only has 10 digits? That’s not a problem, either. With this handy tool from Bowker, you can convert the ISBN easily and immediately. The Book Designer also has a great resource for learning how to reconstruct an ISBN if you finally decided to write and self-publish the book you’ve been thinking about since you bought the ISBN. 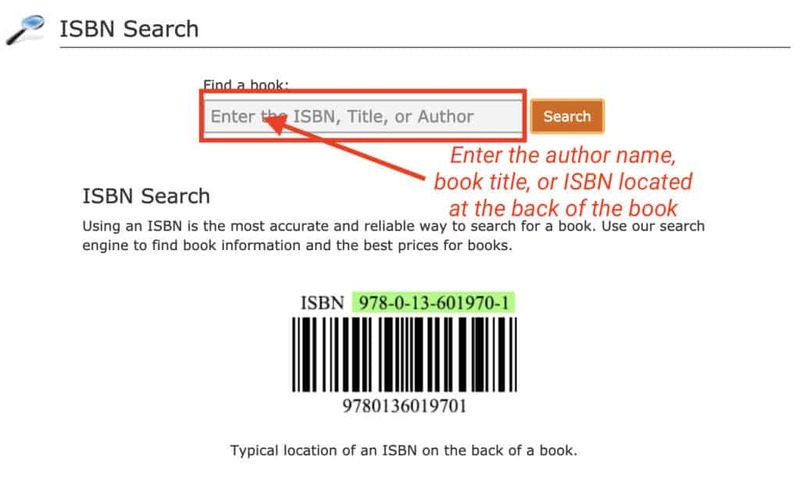 If you want to look up the ISBN of any book out there, you can do so easily by visiting the website ISBNSearch.org. You’ll be greeted with a screen like the one above where you will be prompted to type in the ISBN, author name, or book title. After hitting “search,” you will have a list of books matching your searched items with the both the 13-digit ISBN and the 10-digit, like in the example below. If you look at the picture of a standard barcode, you’ll notice two barcodes side by side. The barcode that appears on the left is the EAN generated from the ISBN number. The other number appearing on the right is a 5-digit add-on, called an EAN-5, that contains the price of the book. The first digit is a 5 and is a must for scanners to read. The 4-digits after the five indicates the price of the book. For example, if the number reads 52995, this means the price of the book is set at $29.95. If the price of the book changes, a new barcode must be used, though the ISBN wouldn’t change. This would only be replaced by a new ISBN number if the book is published as a new edition or as a new version. 1 barcode + 1 ISBN is $150. 1 barcode + 10 ISBNs is $320. If you’ve used Amazon’s Kindle Direct Publishing (KDP) program you’ve probably come across an ASIN. ASIN numbers are used by Amazon to manage and identify the products they are selling on their site. It’s a 10-character alphanumeric unique identifier that’s assigned by Amazon.com and its partners. You can find this on your book page. In your browser, the Amazon ASIN will be after the product’s name and “dp”. The next place to find this is in your book or product details area of your book page. However, an ASIN is not the same as an ISBN. You can only use it with Amazon. If you want to sell through other platforms or in brick and mortar stores, you’re going to need an ISBN. If you want to publish and sell your eBook on Amazon, then the quick answer is no, it isn’t necessary. Amazon will assign your eBook an ASIN number which will be used to identify and track your title. However, that’s only with Amazon, and only with eBooks. If you want your readers to get a hold of a print version of your book, then you’re going to need an ISBN. This might be important if you have a brick and mortar marketing strategy, or if you want your book to be accessible through libraries (more on this later), or if you’re looking to deal with wholesalers or other online retailers. Here’s a simple rule of thumb: if you want to sell your book by means other than as an ebook on Amazon, then you’ll need an ISBN. How do I buy an ISBN Number? You might not even have to buy your ISBN number because of services offered to self-published authors. You can get assigned a free ISBN by Createspace, the On-Demand publishing company that has now merged with Amazon. You can also get an ISBN when dealing with a whole host of On-Demand or self-publishing companies, like Draft2Digital, Smashwords or IngramSpark, and even Lulu. If you can get a free or cheap ISBN with them, then what’s the use in paying for your own one? Here’s the problem: most of the time, you can only use those free ISBNs with the channels those companies distribute through. Let’s say you get a free ISBN with Draft2Digital, but then you notice that there are some retail channels you can access through Smashwords that you can’t with Draft2Digital. You can’t use the Draft2Digital ISBN with Smashwords. Smashwords will only let you use your own ISBN or an ISBN they assign to you. So what do you do? You get a free ISBN with Smashwords. And now you have two ISBNs for the same book. Same book title, same book format, but two ISBNs. You then hear of some exclusive channels you can get through eBookPartnership. The only wrinkle? You need an ISBN and they won’t take your Smashwords’ or Draft2Digital’s ISBN. So you sign up for their free ISBN instead. Now you have three ISBNs for the same book. This problem can repeat itself again and again as you discover more ways to distribute your book. Sometimes you’ll have to pay for the ISBN, sometimes you won’t. But it leads to you having several ISBNs, all from different publishers, for the same book. Can you picture how unprofessional that looks to a bookstore? Wouldn’t it have been easier to start off by buying your own ISBN? Wouldn’t that make you look more professional? On top of this, each of those free ISBNs identifies the self-publishing company as a publisher. It’s the equivalent of using your business email address as [email protected] or [email protected] instead of [email protected] (assuming you’re named Matt). Not only does this make you look unprofessional, but there are some stores that will refuse to stock your book on this basis. If you have a CreateSpace ISBN, there are a number of bookstores that will refuse to carry your book. All of these issues can be sidestepped by simply purchasing your own ISBN through Bowker. We briefly mentioned that if you want to stock your book in libraries, you’ll need an ISBN. However, that might be the furthest thing from your mind. You might have decided to focus purely on eBook publishing and what part do libraries play in eBooks? Libraries are becoming more important to the distribution of eBooks. Overdrive is the largest supplier to schools and libraries in the world (serving more than 30,000), and they circulated more than 105 million eBooks in 2014, a 33% increase from their previous year. They also supply to retail stores globally, making $100 million in sales in 2013. And guess what you need to be able to partner with Overdrive? Yup. An ISBN. ISBNs are free in many countries, provided either by the government or a publicly administered branch. However, in the US and the UK, ISBN numbers are administered by Bowker and Nielsen respectively and require you to pay. If you’re located outside the USA you can find out your local ISBN Agency here. While ISBNs are assigned locally, you can use them internationally. If you live in the USA, you have to get an ISBN through myidentifiers.com, run by Bowker, the only company that is authorized to administer the ISBN program in the United States. You can purchase ISBNs as a single unit or in bulk of 10, 100 or 1000. As soon as you purchase your ISBN through Bowker or the International equivalent in your local area, and you publish your book, you should register here at Bowkerlink. This is an automated tool that will add your book to Bowker’s Books In Print and Global Books In Print. I recommend you download the free PDF “ISBN Guides: Title Set Up & Registration” with step-by-step instructions on setting up your title. So how many ISBNs should you get? You can only use an ISBN once. The ISBN is a unique number for that particular book, and can be assigned once, and only once, to that title. It can’t be used with any other book in the future, even second versions of the same book. You don’t need an ISBN to sell in each individual country. ISBNs are international, they are just assigned locally. A US-based publisher can purchase their ISBN through Bowker, but can stock their book worldwide using that ISBN. You need an ISBN for every specific format of the book and any new versions. Want to sell your book in print, as an eBook, and also as an audiobook? That’s great, however, you need a different ISBN for each one. If you want to publish a revised and updated version you’ll also need a new ISBN. (This doesn’t cover fixing some typos and errors). First off, it rarely makes sense to purchase a single ISBN. A single ISBN would cost you $125, but a bulk of 10 only costs $295. Meaning if you purchased 10, each ISBN would cost you $29.50, a 76% discount. Buying a single ISBN might seem feasible if you only want to publish one title, but remember that you need an ISBN for each format. So if you want to publish your book as an audiobook, you’d need a brand new ISBN for that. As well as needing different ISBN numbers for your eBook and print versions. Not to mention that you’ll need an ISBN number for any future books you publish, perhaps as sequels to your book. We recommend that if you’re serious about making book sales, you should purchase at least a bulk of 10 ISBNs. That gives you 3 ISBN numbers to use for publishing as an eBook, in print, and as an audiobook. You can keep the remainder for any future books you might publish. Now that you have a very good idea how to buy and use ISBNs for your own books, all the best on setting this up. If you want to be recognized as a publisher and have your books available to a larger global audience by registering through Bowker, consider investing in your own ISBN numbers. Think of it as buying a piece of property: You own it and it is registered in your name. Here’s a simple actionable checklist for ISBNs. Under the ISBN drop down tab, click on ISBNs—Buy Here. You can select 1, 10 or 100. For a bulk purchase, go to “Buying ISBNs in Bulk” and you can contact Bowker directly to discuss your options. Once you have your ISBN assigned, you can then use it everywhere that requires your ISBN number. At Createspace, under the “Setup” channel, you can choose to have Createspace assign you an ISBN. When you buy your own ISBN at Bowker, just put in the 13-digit number and Createspace will use this in your paperback. If you publish your paperback through KDP (Kindle Direct Publishing), you can fill in your number in the “Paperback Content” section of your book when you log into your bookshelf. If you choose to have Createspace assign you an ISBN, KDP will ask for your 13-digit number if you are transferring your physical version over to KDP. Register your ISBN here at Bowker as soon as your book is ready for sale. Download the free ISBN Guides: Title Set Up & Registration step-by-step guide. These links appeared throughout the post but here they are for easy access. Are you clear on how to get an ISBN and why exactly you need one? Comment below if you bulked up and got your ISBNs for future books, too! “Build it and they will come” is advice that rarely works when trying to sell books. Amazon is full of self-published books that have barely made any sales, leaving many writers dejected. If you want your books to succeed, to get into the hands of your readers, to potentially achieve bestseller status…. you need a book launch plan. After all, you’ve already spent months (or even years) crafting your manuscript. You’ve also spent a small fortune on a book cover, hiring an editor, proofreading, formatting, and other related expenses. The last thing you need after all you’ve invested is for your book to fail, to make exactly zero sales. If you have a book, or are looking to write a book, and are already thinking about promotion, then this is for you. Contrary to what you might expect, launching a book isn’t hard, and it doesn’t need to break the bank (although you do need to invest some money). By focusing on the minimal book launch strategy I’ll outline here, you’ll avoid being overwhelmed and launch your book on Amazon like a pro. Before you go any further, there are a few things you need to do in between finishing your manuscript and launching your book. I put together a 13-point checklist of these action items. You don’t need to carry them out with perfection since they can be tweaked later. Book Description — Create your book description using the Book Description Generator at Kindlepreneur.com. Keywords — Select 7 keywords for your book. I use KDP Rocket and Kindlespy. There is also Merchant Words and Google AdWords. Categories — Choose 2 main categories for your book in the KDP dashboard. Once your book is live you can email Amazon and request to have your book put into eight additional categories. Landing Page — Create a landing page for your book. This can be used to collect email addresses and give away a chapter of your book before its release (optional). Upload Manuscript — Upload your manuscript to KDP. Proofread your book using the KDP online previewer. Upload Cover — Upload your Kindle cover to KDP. Launch Price — Set your launch price at 0.99. Lead Magnet — Insert a lead magnet into your book, both at the front and back. Connect this to your email list provider such as Mailchimp or ConvertKit. Audiobook (Optional) — Get your audiobook created. Plan to release your book through Audible or ACX. Paperback — Get your paperback version created. You can set up your paperback at CreateSpace. Optional: Your paperback can be launched after the Kindle release. Emails — Pre-write emails that you’ll send to your launch team. Goodreads — Goodreads account created and author profile setup. Your book will end up there either way, so it’s worth setting up an account to associate the book with. Launch Plan Model — Map out the specific action steps you are taking for each day of your launch. I have provided a model for this further down the post. Just like there are a variety of business models to choose from when planning your venture, there are a variety of book launch strategies to choose from. For example, you could follow Steve Scott’s 5-Day Launch Plan That Works which he used to effectively launch the bestselling book 10-Minute Digital Declutter that he co-authored with Barrie Davenport. Or you could emulate Nick Loper, of Side Hustle Nation fame, and his successful launch strategy which sold 2600+ copies of his book Buy Buttons. There’s even the detailed launch plan of Rob Cubbon, the author of The New Freedom. These are all plans that work because of one thing: They are strategic in their planning and strategic in their execution. However, while there seems to be a lot of steps, an effective book launch plan isn’t complicated. Your platform. The bigger your platform and access to influencers, the bigger (and more diverse) your launch. In the strategy I’ll show you, I keep things simple. It’s a 12-day launch, including a 3-day free promo through Amazon. If you’ve ticked everything on that checklist, then it’s time to hit publish on your book and to start your launch strategy. But, before we dive into that, there are a few things you need to know about Amazon’s algorithm as it informs your book launch strategy. Amazon uses an algorithm to measure and track book sales, and everything else on their platform. It’s worth remembering that Amazon wants you to succeed: if you make money, Amazon makes money. Knowing a few basics of it can help you to have a greater launch and to sustain the life of your book for months (and years) after the launch buzz wears off. Your book starts ranking as soon as someone buys a copy. Every purchase of your book pushes the ranking up the ladder. As a book moves up, it jumps ahead of the other books in your selected category. The rankings are based on recent sales and Amazon favors a book that is getting consistent, ongoing sales. A book that runs a promo and gets 200 sales in one day, but then nothing else for the week, will not perform as well as a book that gets the same number of downloads over the course of a ten-day period. Slow, steady traffic and a long-term plan is the way to succeed with your book. Steady, organic growth will always outperform a sudden burst of downloads. It’s worth noting also that while reviews and the price of your book do not affect your sales rank, they’re still worth having. The more quality reviews you have, the more credible your book will be to shoppers. This affects their decision-making power to buy, which translates into more downloads and an increase in sales rank. Focus on getting as many quality reviews as you can during this launch phase. Then, continue to work on getting reviews from organic traffic. With that out of the way, let’s look at two necessary steps you need to do before you promote your book. There’s a very specific formula to follow during your book launch that will have you hitting those Amazon bestseller lists. And you definitely want to become a bestseller so you can increase your sales and maintain your position at the top. I know how you feel, but trust me, there’s a good reason for launching it at this price. You may be selling it at a super-low point now, but the rewards are coming later. It’s better to have a book that has steady sales in the long term than to just have a burst of downloads now, then zero in the future. Go to the KDP dashboard and set your book at $0.99. With the exception of the free promo period (which we’ll get to shortly), your book will be at $0.99 for the duration of the launch. I mentioned that our strategy will have a 3-day free launch. Setting this up is easy. If you plan to run a free promo for your book, you can set this up as soon as your book is live on Amazon. To run a free promotion, your book has to be enrolled in the KDP Select program for 90 days. A book that is listed for free will be ranked in the free store and books set at a price are ranked in the paid store. If you don’t have a following (email list) or you are just getting started, I suggest you do the free promo. The free promo gets your book into more hands (that will hopefully read it) and increases its visibility across more platforms. Action Item: Go to the KDP dashboard, and under “Kindle eBook Actions,” enroll into the KDP Select program. While enrolled in the KDP select program your book has to be exclusive to the Kindle Store. When launching your book, especially during your free promo, you want to put it into the hands of as many readers as possible. Amazon ranks your book in the free store based on how many downloads it gets. The higher you rank, the more downloads you’ll get from Amazon browsers. Which means to maximize your launch, you need an initial surge of readers that don’t come from Amazon. This is where book promotion sites come in. You can use them for both your paid and free launch. In the launch scenario later on in the post, I’ll show you how to batch these sites together to give your book the boost it needs. An aside if you have a healthy email list: you won’t need to rely on these sites as much. This is especially beneficial for authors who are just starting out and don’t yet have a strong platform. Keep in mind that results vary for each site and your performance will largely depend on your book’s quality. You still need the essentials: a great cover, a compelling book description, and an eye-catching book title. Below is a list of my favorites that I have personally used, in combination with an email list to launch multiple bestsellers. You can also check out Dave Chesson’s blog on this as he covers the best sites to use for both free and paid. The price for each promo site varies depending on the niche and category. Buckbooks. If you can get onto any of these promo sites, Buckbooks is the one you want to try to get into. You need 10 reviews before they’ll schedule you. Note: You can promote the 2nd book on the same day for only 25% of the price. Great deal. But you can only promote once every 6 months for each book. If you use their Archangel Ink book production services you’ll get a guaranteed placement. Robin Reads — (need 10 reviews and a 4.9 rating) Takes a couple days to get approved ($55). Great results. I usually get anywhere from 60-100 downloads with this one. https://robinreads.com/author-signup/ Note: They have a calendar that is usually booked out weeks in advance. In this case, consider using Robin Reads for future promos of existing books already launched. BKnights (Fiverr) You can’t go wrong for $5. I would also take the extra gig for $5 and get in on their daily newsletter. Downloads average 12-30 depending on the book. The Fussy Librarian (https://www.thefussylibrarian.com/). Great promo but very hard to book in advance. They are usually booked out 2-3 weeks ahead. Need 10 reviews to get accepted. Various price ranges. Strong results. Book Runes (https://bookrunes.com/). Global reach with over 50k mailing list, $25. Average to very good results. Email your list (if you have one). if you don’t, BUILD one. This is by far better than all of the promo sites combined. If you don’t have a list yet, start building one with Mailchimp, Mailerlite or Convertkit. To keep things simple, I’m giving you an example of a book launch that covers 12 days. This is similar to the launch that I did for my book Relaunch Your Life, except that I didn’t run a free promo. However, for this post, I will look at how to include a free promo as well. Your launch will look and perform differently than this, but you can use this as a model and tweak as required. This launch assumes you are launching your book at $0.99 with a free promo set up through KDP for 2-3 days. What is the difference between a soft launch and the actual launch? I use the term soft launch below, which is different from your actual book launch. Your soft launch begins from the moment you hit publish. As Amazon takes about 24 hours to set up your book, I recommend hitting the publish button at least 24 hours before you begin your actual launch. For example, if your launch plan beings on a Sunday, then publish your book on a Saturday. Ready for your book launch? In this book launch model we use 3 days for our soft launch window, and then begin the actual launch on day 4. The first day of your soft launch is critical. This is the day when you are going to set up your book to successfully launch over the next 11 days. The price point is set at $0.99. Create your Amazon Author Page. Set up your bio and upload an author pic. Claim your book by hitting the ‘add more books’ tab. This will appear on your author page within 24 hours. Email your launch team. Let them know the book is ready for verified reviews. Email Amazon customer support. Request that your book is placed in additional categories. Set up a few promo sites for days 2 or 3 while your book is at 0.99. This starts to build momentum. Recommended Awesome Gang, Bknights, and Booksbutterfly. As soon as you have ten reviews, set up the rest of your promo sites for the week. Not all of these promo sites require a set number of reviews. Check the list for links to the sites and submission requirements. Set up your Free promo in the KDP dashboard. Your free promo will be 2-3 days. This will start on day 4 (or however long you decide to run your soft launch). If you do a 5-day soft launch your free promo will start on day 6. Set up several paid promo sites to advertise your book for free. Although your book is free, the promos will cost you. If you combine these promo sites with the organic traffic you’ll get from Amazon, you should do very well for free downloads. Social media burst to your FB page, mastermind groups, and other sources to spread the word. Don’t forget about other social platforms with large reader audiences like Twitter and Tumblr. The promotional sites you got in touch with on day 1 will be advertising your book. Send an email to your team to notify them that your book is now free. Promote to social media! Run paid promo sites recommended from the list above. You can cluster these a day apart or combine 2-3 promos a day. If you followed the plan you should have had a considerable number of downloads for both your free promo and your $0.99 promo. Remember that your numbers will vary depending on your platform, book quality, niche, and sometimes, luck. Email your list and remind them the book will be 0.99 for only one more day. Contact your launch team and thank them for reviews and their support. This is the last call for reviews and downloads. Leave it there for one week and raise it to $3.99. You can test the pricing by going up to $4.99 and watching what happens. Monitor the sales and adjust accordingly. I usually spend around $300-$400 per launch minimum on promo sites but how much you spend is up to you. Stagger them out over the course of 10-12 days. One of the biggest challenges authors have is where to go after the initial book launch is over. Multiple books create momentum. Look at the army of fans that Game of Thrones had before the TV Show launched. How did George R.R Martin build that? By setting up and writing the books as a series. Do you have a series of books you could write? A series is a great way to build your brand, a list, and to keep traffic growing with increased interest in your books. Create a business around your book with coaching, a course, or an automated email course that gets readers engaged after they are finished your book. They want to know more about you and so, if you have a business set up to kick in for subscribers, this is the start of what could be a great author business. Launching a book is a combination of strategy, imagination, and hard work. If you have a great book to promote and a team of people (a small team will do) backing you up, you can have a great launch that gets your book into the hands of your market. With every book launch, there is more to learn. If you keep launching, you’ll get better. And as you get better, you’ll get more fans. Eventually, you can turn your launch into a massive movement with thousands of fans standing behind you pushing your book towards New York Times Bestseller status or get featured in The Wall Street Journal. It’s not enough to just read about launching your book. Learning from the best and then taking action is where real success is made. The learning never stops – not when it comes to this ever-changing (yet growing) field of self-publishing. And in order to stay ahead of the curve, you have to continue to invest in your knowledge. It’s not enough to just launch your book and leave it be. In truth, you should always be looking for new, better ways to maintain your book sales. Here’s what you can do right now to make a difference during your book launch. Your book launch will only be as successful as the work you put into it. That includes the team you have assisting. Make sure you choose top-notch individuals who really want to push for your book. This will help you book launch reach heights you never imagined. Building a launch team is essential but it’s also important to make sure that team is not only willing to help, but willing to go above and beyond for you because they believe in your book and your work. What are some of your biggest concerns when it comes to your book launch? Comment below so we can help you out! Writing a book is intimidating. When you’re not sure where to start, it can paralyze you. But we have the best top steps to start writing a book today so you can become an author! Beginning the process of writing a book and presenting it to a worldwide audience is very exciting but also a little scary – espeically if you mess it up and end up making a fool of yourself. It’s a fear we all have, trust me. You have amazing book ideas that you want to share with the world, and you’re more motivated than ever to educate your readers about them! But once you begin, you may realize that writing a book is hard work. There are many obstacles that can prevent you from writing and can create stress leading to anxiety. “Should I start without an outline”? Writing a book shouldn’t be this hard! But many get overwhelmed because they lack a writing process. If you want to skip right ahead to what will really help you start writing, then you’ll want to check out this free training we put together for you. With your FREE training, we can help you understand HOW to start a book and self-publish it so the maximum number of people can enjoy it. Just click the button below to TAKE ACTION on your dream –and let’s do this together. If you’re feeling demotivated when it comes to starting your book, you’re not alone. Writing can still be one of the hardest parts for most authors even if they have been writing for a long time! Fortunately, there are some extremely effective techniques for how to start writing a book and overcoming these hurdles. We’ll cover what you can put into action to assure you show up with a game plan to get your thoughts out of your head, down on paper, and into the minds of your readers. Ready to start your journey to becoming an author? Let’s go! Believe it or not, writing a book isn’t as difficult as it’s made to seem. At least, getting started isn’t. We have a complete guide that will cover best practices to start writing a book asap – even today if you sit down and put your pen to paper, so to speak. One of the most important things to remember if you want to start writing a book is designing an environment that allows your creativity to flourish unhindered. Create an environment that is designed to help you stay focused. Whether you prefer noisy environments or absolute solitude, it’s up to you to determine which will get you into the writer’s flow. Have collections of inspiration. Decorate your work area with inspiring quotes or pictures that house references to deep work. Unclutter your space. Create an uncluttered open space to help organize not only what you need, but also your thoughts. Be Flexible. Your creative space doesn’t need to be one spot, it can be anywhere. Even your favorite authors have discovered their best ideas in the most unexpected places. Buy a calendar: Your book will get written faster if you have set goals for the week/day. The best way to manage this is by scheduling your time on a calendar. Schedule every hour that you commit to your author business. What gets scheduled, gets done. Create a music playlist for inspiration: Many authors can write to the sound of their favorite tunes. Is there anything that gets you working faster? Do you write better with deeper focus when listening to rock music or classical? Set up several playlists that you can use to get into the flow of writing. Try Multiple Locations. You won’t know how creative you can be if you don’t try different spots to write. Maybe writing from your bed is your ideal creative space. What about working in a noisy cafe? Change up your location frequently particularly if you feel creatively spent. Spend 30 minutes to create your ideal space for writing. You will feel more inspired to show up and write. The number one reason authors fail to publish a book is because they never finish the book they intend to publish. Why? Because they didn’t form a good writing habit. Feeling overwhelmed when writing a book is natural, but you must remember that this journey always begins with the first page. And in order to write your first page, you must take action. This is why having a writing habit will develop your writer’s flow. Your writing habit can start small. Don’t overwhelm yourself thinking that you must write your every thought on the page. You can start with a few paragraphs, a sentence, or even just a word. The purpose of this exercise is to commit to your writing session every day until it has become second nature. If you don’t have a writing routine already, get one started! Momentum begins by taking that first action. A clear outline provides clarity and direction to your story. It is also the roadmap for your book that keeps you on track and ensures you have all your ideas organized in a natural flow. And that’s not even to mention that it helps you write a lot faster, too. When you get stuck, you can always go back to your outline to find what comes next regardless of whether the book is 100 pages or 300 pages long. It will help you see the overall picture. Brainstorm: List every thought and story idea you want in your book by creating a mind map. Organize: Combine all related ideas together. Order: Arrange ideas into subsections from general to specific. 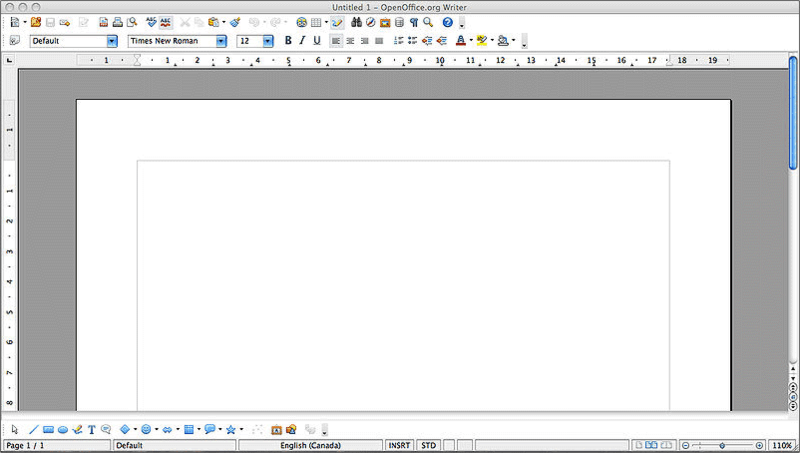 Label: Create main and subheadings that will eventually be your chapters. Spend a good portion of your time constructing an outline. If you want more on creating it, be sure to check out our guide. One challenge many authors experience is taking on multiple new projects when they should be focused on one because their minds are full of amazing book ideas. Although enticing, the division of attention can spread your energy thin producing bad writing or worse, failure to complete your book. But don’t worry. We’ve all experienced shiny new idea syndrome before! There’s only one clear solution to this problem: Cut the clutter and focus on one project until it’s finished. Create an action plan that breaks down the entire project into realistic portions to complete. Set hard deadlines for each and every phase of your book. Learn to say “NO” to any additional projects no matter how intriguing they appear. Create an action plan and commit to it. Learn to be selfish and practice saying “NO” often. It’s better to complete one book and get it right than to write two books with poor results. Once you get into the flow of writing, you want to remain focused through the duration of your writing session. Any break to your concentration can set you back 20-30 minutes and disrupt your flow. We become less efficient when we are distracted, and it can end up taking twice as long to complete our writing. Thankfully, there are very effective techniques that can help you remain centered and in the moment. Create a writing schedule. Schedule your writing for the same time each day. This conditioning will develop your writing habit until it becomes as natural as knowing when to brush your teeth. Use the Pomodoro Technique. This is a time management strategy that breaks down work into intervals separated by short breaks. With a clock ticking, you will less likely be distracted by email or social media. Turn off your phone. Your phone is the most addicting device that steals your precious attention. Don’t let it take that from you, turn it off. Have a Task Management app. Task Manager apps, like Todoist, helps you organize your tasks by their time and priority, so you know exactly what to do in what order the next day. Disconnect from the Internet. Want to ensure you don’t get distracted by email notifications, Facebook notifications etc? 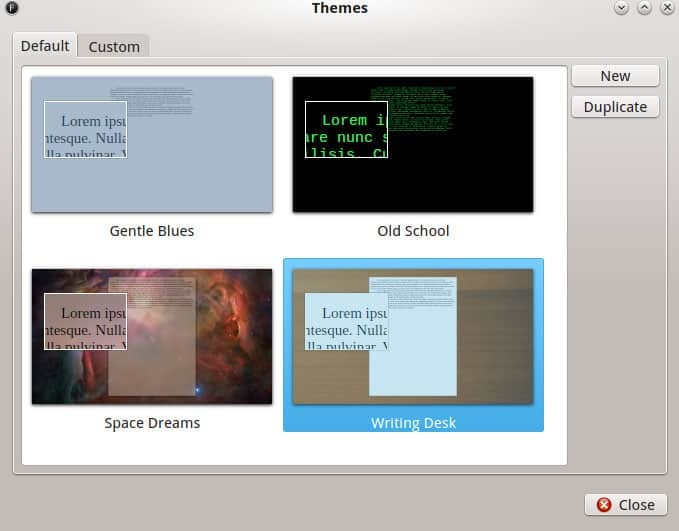 Disconnect your computer from the Internet and enjoy distraction-free writing time. Experiment with each of these productivity techniques and optimize your writer’s flow. By becoming a productivity expert, you will easily double your output and complete your book in no time. Jerry Seinfeld is one of the most popular comedians of all time, and he attributes his success to his unbelievably strong writing habits. In the early days of his career, Seinfeld was asked how he managed to have such great content. Get yourself a calendar, and hang it on the wall. For each day you write, draw an X on the calendar for that day. By the end of the week, you should have a row of Xs at the end. If you miss a day, start over and see how long you can go before breaking the chain. If you can keep this chain going, you will have your book written faster than you can imagine. Resistance is a common obstacle that holds us back from creating. It is a form of fear that intimidates you from writing and can throw you off your writer’s flow. Everyone has encountered this awful feeling, but it doesn’t have to defeat you. Read morning affirmations. Affirmations are powerful snippets of positive words that set the tone and atmosphere for writing. An affirmation could be a quote from a writer, a motivational speech from a public figure, or an inspirational video. Free Flow for 10 Minutes. Julia Cameron, the bestselling author of The Artist’s Way, called these morning pages, and its purpose is to clear your mind of all the anxiety and junk rolling around in your head onto a piece of paper. Write anything. You don’t have to edit, publish, or have a word count, it’s simply a 10-minute exercise to clear out heavy thoughts and prepare you for a more productive day. This is best done with pen and paper instead of typing into a document with your digital device. Exercise. Exercising is not only good for your health but will help keep you mentally sharp. Working out will increase the blood flow to the brain which will sharpen your awareness and give you the energy you need to tackle your book. Create a resistance plan! Figure out which methods best filter out the negative noise and get you to prepared to write. If you want to become a published author, you must take ownership of your writing habits. By following these seven strategies, you can have a completed book within months and be on your way to becoming a successful writer. But what can you do right now to ensure the success of the book you’re going to start writing? We’ve got them for you. That’s right! We have free training that’s just for you! Chandler Bolt will walk you through everything you need to go from blank page to published author in as little as 90 days. Once you’re registered for your video training, you’ll want to go ahead and schedule your writing days from the get-go. This will not only help you know when to carve out time in your schedule going forward but having a visual representation of when you get to start writing will do wonder to motivate and inspire you! We typically advise our students to start with 30 minutes per day. Whether that’s before or after work is totally up to you. 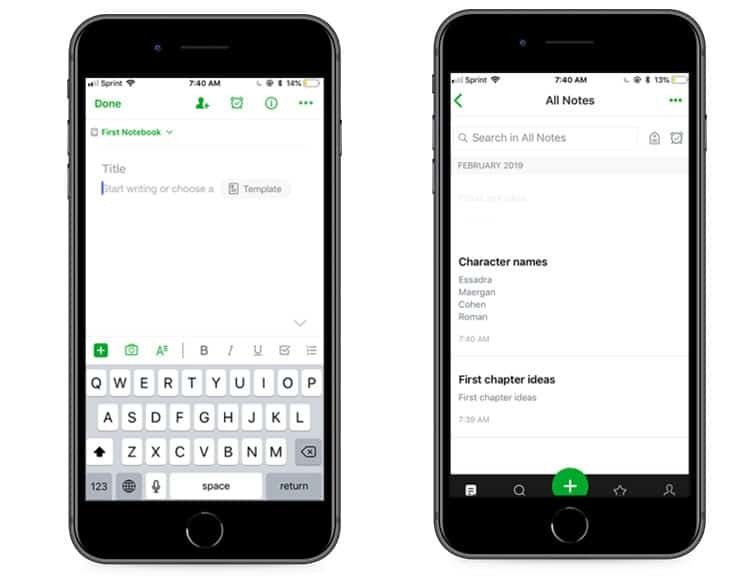 You can even write during your lunch! So long as you commit to your scheduled times, writing a book will be a breeze! Writing a book is fun but it can also be a lot of work. That means having some motivational and inspirational materials to help you envision your future as a self-published author will help you overcome and slumps you may find yourself in. Remember to keep those aids handy so they’re always there to keep pushing you forward! Are you ready to start writing a book? Let us know what it’s about and when you want to publish below! Posted on April 24, 2018 | by Scott Allan | 3 Comments on How to Write Faster: 7 Game-Changing Strategies to Get. It. Done.